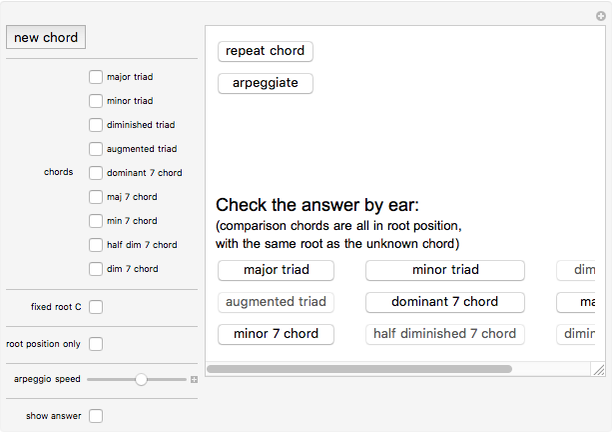 Improve your ear by working on chord recognition. Choose as many or as few chord types as you would like to learn to recognize or distinguish. A chord can then be selected at random from your list and played. It is up to you to determine the quality of that chord. Nine of the most frequently occurring chord types in traditional Western music are included. 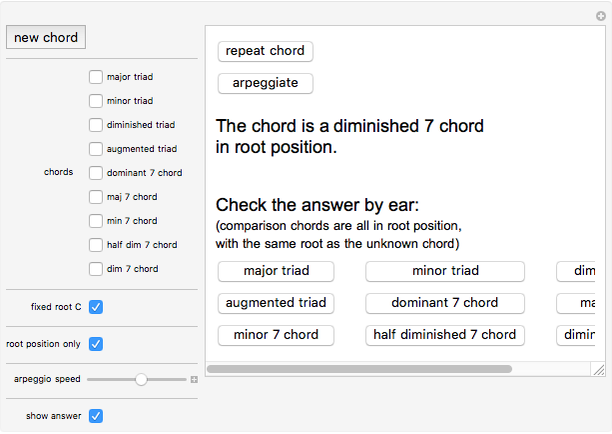 You can decide whether to restrict the chords to have a fixed root (middle C) or not, and whether to have the chords played only in root position or allow inversions. Chords are voiced so that all notes are within one octave and no notes are doubled (no C-E-G-C major chords, for example). 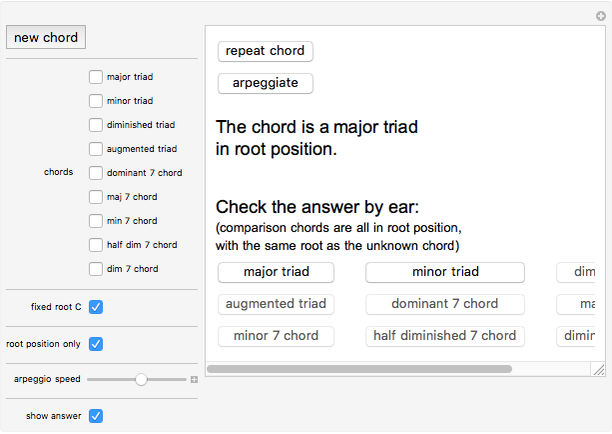 When checking the answer by ear, the comparison chord may not sound exactly like the unknown chord, since the comparison chords are in root position. Augmented triads and diminished seventh chords are all considered to be in root position. There is no way to distinguish between the sounds of E-G#-C (C augmented in first inversion) and E-G#-B# (E augmented in root position), for example.